A lot of us fear seeing our first grey hair, and for many of us, it happens much sooner than we had expected. Irregular sleep cycles, lack of essential nutrients, exposure to harsh chemicals and heat treatments, as well as increasingly stressful lifestyles, are all important factors that could lead to premature greying and hair fall. There are a few ways to prevent, or rather delay that though, one of them being using hair oils. There are various brands like Kama Ayurveda, Soulflower, Forest Essentials, etc., that claim to have oils that prevent grey hair, which makes it really hard to choose the right one. In this article, we will discuss how you can choose the best hair oil for black hair, and give you a list of the top 7 best options you can find online in India. Hair oils have been a part of Indian hair care routines for a long time, and while the older generations know a lot about them, many of us youngsters do not. Therefore, let us explain how you can choose the best oils to keep your hair dark naturally. One of the basic differences between types of oils is whether they’re supposed to be consumed, or whether they’re meant for external use. 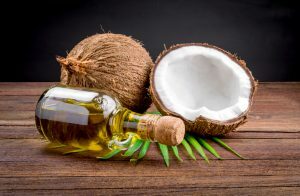 There are certain oils, such as coconut oil, rosemary oil, brahmi oil etc., which are supposed to be applied externally on the scalp and through the hair shaft. These oils are easy to absorb for the scalp, and they help provide nutrients like magnesium, phospholipids, vitamin K, and so on, to hair follicles from the outside. 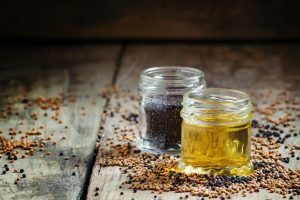 Some of these oils, such as mustard oil and coconut oil can be used for cooking as well, so if you’re planning to do that, we recommend keeping them in separate bottles, in order to avoid any confusion. There are some oils though that are limited to external application only, so make sure you read the labels clearly before using. Oils like flaxseed oil and cod liver oil are two oils that we can consume to help make our hair darker and prevent premature greying internally. These oils are rich in omega 3 and vitamin E, both of which are important nutrients to keep the hair healthy. 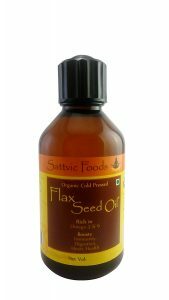 While flaxseed oil can be used for cooking, cod liver oil comes in little capsules that you must take everyday. 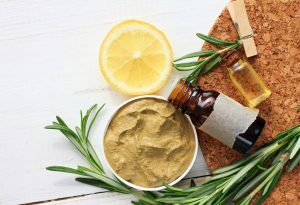 Whether you’re using a single ingredient oil, or a mixture of multiple oils, you must make sure that the ingredient(s) in a product are actually beneficial for preventing premature greying and help darken the hair. 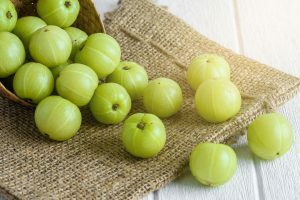 Amla, also known as Indian Gooseberry, is a miracle worker that people from all over the country swear by. Amla oil is made by submerging amla fruit in coconut oil and allowing its natural oils to be absorbed by the base oil. It has been used in India for a long time as it provides nourishment to hair and prevent premature greying. Just like the fruit, the oil contains high levels of vitamin C and antioxidants that aid in fighting early signs of ageing, including premature greying. Although you can eat the fruit, amla oil is not recommended for cooking purposes, and its use should be limited to external application. The oil will not only help to prevent grey hair, but also make black hair appear more lustrous. Rosemary is a popular herb that has been traditionally used for hair care not only in India, but in the Mediterranean countries as well. It contains magnesium and lipids which keep the hair healthy and dark, as well as antioxidants that eliminate free radicals and hydrogen peroxide from the hair to prevent greying. On its own, rosemary is not as strong as amla, but when it is combined with other darkening ingredients, it can work a lot more efficiently. 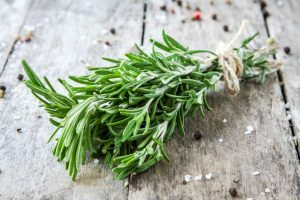 Therefore, you should try to look for products that include rosemary in addition to some other natural colouring agents. Brahmi is one of the most important ingredients in Ayurvedic medicines, and its oil is obtained by soaking the leaves of the plant in coconut or sesame oil. 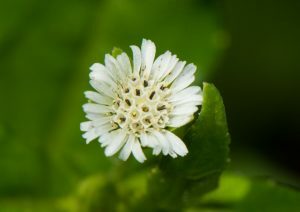 Alkaloids in Brahmi oil are great for treating dandruff, reducing hair fall, and preventing greying of hair. You must be very careful while using this oil though, because it is not edible and should only be used externally. 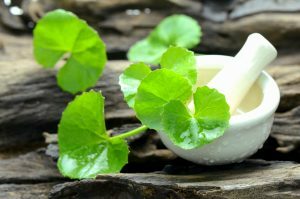 Effects of consuming brahmi oil vary depending on the amount – small amounts can cause nausea, while large amounts can be lethal. Bhringraj plant, also known as false daisy, is an ingredient which has been traditionally used in Ayurveda due to its anti-inflammatory and anti-stress properties. 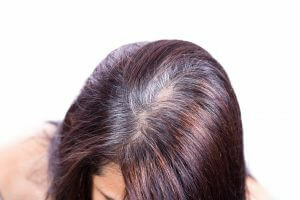 Scalp inflammations and stressful lifestyles can often lead to premature greying. However, massaging bringraj oil helps treat inflammations and relieves stress, which results in healthier hair growth and reduces the chances of premature greying. You must not consume this oil though as it is meant for external application only. Henna, or as it’s locally called, mehndi, has been used for body art and hair care in India since centuries ago. However, aside from using the leaves for making the typical dye, they can also be used to create a hair darkening oil. Since mehndi stains are usually somewhere between orange, red, and brown, adding another darkening agent like amla helps intensify the colour and bring it to a darker brown. There are several people who are allergic to mehndi though, so before you use it, make sure you do a patch test on your hand. It also has a very strong, distinct scent, which can make some people nauseous or give them headaches, so make sure you don’t have any of those issues before you use an oil containing henna essence. Hibiscus flowers and leaves contain high levels of amino acids and Vitamin C, both of which are great for treating damaged hair. Sun-damaged hair often lacks colour and lustre, therefore, using oils with hibiscus extracts can bring life back into the strands, making them appear darker and shinier. 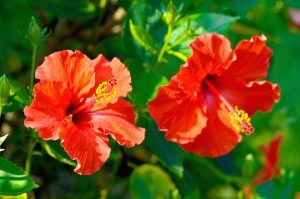 Despite its amazing properties, hibiscus is not recommended for pregnant women and breastfeeding mothers as there have been cases of hibiscus extracts causing hormonal imbalances and health issues for such women. We also suggest doing a patch test first as there are quite a few people who are allergic to hibiscus. 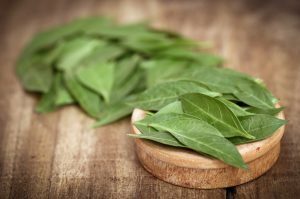 Aside from adding flavour to your upma, curry leaves can also be a beneficial ingredient for your hair. These leaves contain high amounts of vitamin B6, vitamin C, and phosphorus, all of which are important nutrients to keep your hair and scalp healthy. 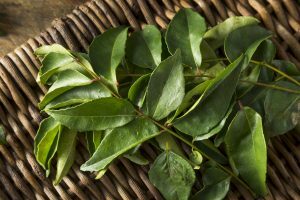 Oils with curry leaf extracts help increase blood circulation and provide the above mentioned nutrients, all of which are great for reducing hair fall, repairing damaged hair from the roots, and preventing premature greying. Another important aspect that you must consider when choosing a hair oil is its consistency. You choice of consistency should be based on your hair type and when you plan to use the oil. Some oils are much lighter than others, so they flow much faster and are absorbed more easily by the hair. 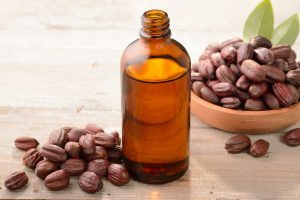 One such base oil is jojoba oil, which is really similar to the natural sebum produced by the scalp, and hence is absorbed much more easily by the scalp and hair. Lighter consistency oils are recommended for those who’re oil their hair in the morning and do not want their hair to look too greasy. It’s also a better choice for those with thinner hair as it would be easier to wash out and it won’t weigh the hair down. There are also oils like mustard oil and sesame oil, which have a much heavier consistency and provide a lot more moisture to the hair and scalp. These oils need a much longer duration of time to work, so they’re more suitable for overnight treatments. These oils are perfect for those with thick hair as they won’t have to resort to using a lot of oil to coat their hair properly. Since these oils are on the greasier side, it takes a while to wash them out properly, therefore, it’s best not to use them during the day. We’ve given you a lot of information in the previous section of the article, and now we shall give you a list of the top 7 best hair oils for black hair you can buy online in India. Make sure you keep all the points we mentioned in mind while you’re selecting a product for yourself. If you’re too busy to oil your hair regularly, but still want to prevent premature greying, this product could be your saviour. The tablets contain fish oil, which is rich in omega-3, which helps keep your healthier and prevents premature greying. An added bonus is that it is also great for your heart and bones, and keeps them healthy too. It is limited to non-vegetarians though, and even then, it is not suitable for those who’re not comfortable with a fishy taste as despite its claims, it does have a strong fishy aftertaste. Additionally, there is some misinformation on the bottle about the dosage, and we would advise to consult your doctor before you start taking these. 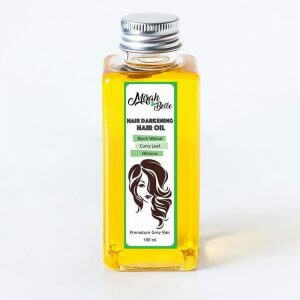 If you’re looking for an oil with multiple hair nourishing ingredients, this is the one for you as it contains 6 different base oils, as well as curry leaf oil, hibiscus extract, henna, amla, bhringraj, and rosemary. Although there are only a few reviews, they all claim that this oil has helped decrease grey hair and made it much darker. 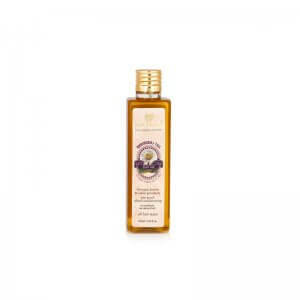 It is quite expensive for a 100 ml bottle, especially since most of the main ingredients are base oils. Additionally, it might not last as long for those with longer hair as the bottle is quite small, and there are no options available for a bigger bottle. The smell may also be quite strong for some as the oil contains lots of different herbs. 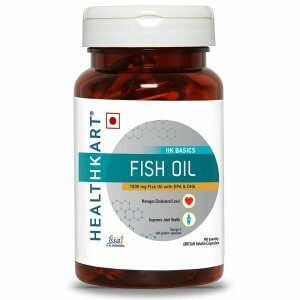 This is the vegetarian alternative to fish oil capsules, because flax seed oil is also extremely rich in omega-3, which helps keep the hair healthy and prevents premature greying. It is recommended for those who want to fix the problem internally, and want something they can add to their salads or smoothies everyday. It is quite an expensive purchase though as it’s just a 250 ml bottle, which won’t last very long if you consume it everyday. Furthermore, it goes rancid really easily, so you must keep it refrigerated! 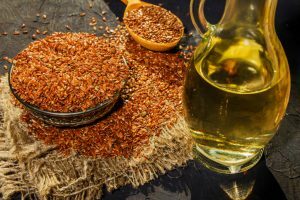 It would also be hard to consume for those who don’t like salads or smoothies as it is hard to incorporate flax seed oil into Indian cooking. If you’ve spotted your first few grey strands recently and want to make sure the rest of the hair doesn’t go grey anytime soon, then this is the product for you. This hair oil uses ayurvedic knowledge and contains darkening agents like bhringraj, brahmi, and henna to nourish the hair, prevent premature greying, as well as control hair fall. Although it is definitely for those who want to give their hair a treat as this is one of the most expensive options on this list. While it does feel luxurious to use this oil, especially with its pleasant scent and a light consistency, it only lasts for about 10 to 15 applications, so it would be really pricey to use it regularly. 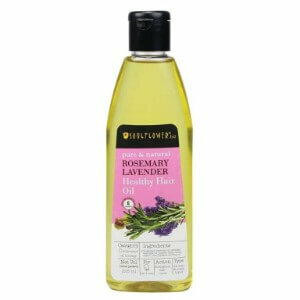 Those looking for an affordable hair oil to delay greying for as long as they can, should go for this one! It contains rosemary and amla to help keep the hair darker and prevent premature greying, and it is more suitable for those who’re looking for prevention from a young age as it only has two hair darkening ingredients. Since lavender is also used in this oil, it feels very relaxing, therefore, we recommend this product for those who are dealing with a lot of stress and fear that it may make their hair go grey. The consistency of this oil is quite thick, so we suggest using it at night as an overnight treatment, and washing it out the morning after. One of the best hair oils on the market, this little bottle is recommended for those who’re dealing with sun-damaged hair that is making their hair appear ashy and increasing grey strands. It contains bhringraj, brahmi, amla, and henna as hair darkening ingredients that ensure grey hair is less visible and the rest of the strands appear a bit darker. It also contains many other nourishing herbs that help keep the hair and scalp healthy, and promote the growth of healthier hair follicles. Although it contains lots of different herbs, it does not have an overpowering herbal or medicinal scent, and unlike some other hair oils, you do not need to work too hard to wash it out either. The best option on the market, this hair oil is perfect for those looking for an ayurveda-based hair oil to make their hair around one shade darker. It contains hair darkening ingredients like bhringraj, amla, rosemary, and indigo, which not only help make the hair slightly darker, but also nourish the hair to prevent more strands from going grey. Although it seems like an expensive oil initially, it lasts for quite a few applications as you only need to use it once a week. It has a strong smell, but it easily washes away with a mild shampoo, so you needn’t worry about that either. After a month of using this oil, you’ll notice that grey hair has become less visible and the rest of the hair appears darker as well. There are a few things you must keep in mind when using hair oils to prevent prevent greying, in order to be not be disappointed with the results. Most of these hair oils are made for prevention, so your hair doesn’t go grey while you’re still in your 20s or 30s, or even if you have found a few grey strands, you can make sure the other strands don’t follow suit. While some of these do have a darkening effect, it is only around one shade darker, which would make the greys less visible. Do not expect these oils to make your hair go from grey to brown or black as that would probably drive hair colours out of business. Oils are more about nourishing and preventing premature greying, while hair colours are more appropriate for covering up lots of grey strands. This may sound obvious, but consistency is key for proper results, therefore, you must use the oils regularly for a few months. Just as with any other product, you cannot expect to see results in a matter of days, so make sure you use the hair oils consistently. One of the key factors that we often forget about is our genes; if your family has a history of premature greying, it is likely that you’ll experience it too. If that’s the case, then you must start using hair darkening oils from early on, so you can delay the greying for as long as you can. External factors like stress and eating habits are also important as no matter how much time and money you invest in taking care of your hair, if you’re too stressed or are not eating right, the results won’t be as great. Our parents and grandparents enjoyed regular champis, but many of us have not had that luxury. Add to that the increasingly stressful and unhealthy lifestyles we’re leading, and you’ll have the perfect recipe for premature greying. Therefore, we must invest in oils that are made for the specific purpose of dealing with greying hair. We hope we were able to explain how you should choose the best darkening hair oils for preventing grey hair, and we also hope our list of top 10 products helped you choose the best hair oil for yourself. Do remember though, that these oils cannot perform magic, and you must make changes to your lifestyle to achieve the best results!